Tony Blitz the T in C.R.S.T drops by to let us know about their upcoming releases on labels such as Catapult Records and current releases on Cheap Thrills, the same label that has released well known artists like Jack Beats and Kissy Sell Out. We also get a glimpse into how they operate in the studio and choose their remixes. HJ: Hello C.R.S.T! Please introduce yourselves to those who might not know your work. TB: We are 4 DJ's/Producers from South Wales that specialise in making Garage & House and all the varied styles that fit in between. HJ: C.R.S.T are both a DJ and production crew. When your not in the studio where can we find you playing? TB: We don't have a residency in any particular night so you can find out where we are playing via our Facebook (CRSTCardiff) or on our myspace (which is due to be updated shortly). HJ: Your sound could be described as a fusion of the different bass music genres. I know that you are all producers in your own right. Did you come together with a particular sound/vision or was it something that came about naturally? TB: We didn't have any particular style in mind when we first got together. Chesus & Tony Blitz had already made a few Drum & Bass tunes under the alias (Knuck Su Cow) and when we decided to make a slower tempo genre with 4 of us having an input, it seemed so much easier & quicker than making Drum & Bass. Chesus & Tony Blitz started off DJing Garage anyway so that whole vibe is drilled in. HJ: Let's talk toys briefly! What piece of equipment could you not live without in the studio? TB: Well currently we have the main studio at Tony Blitz's yard. We use both a Carillon PC and an iMac, we use the Carillon as a synth basicly and record the sounds as audio into whatever DAW we are using, its like having stand alone synth. We have recently started using the iPad as another instrument aswell, the Korg Ims-20 has some great sounds and some dirty sounding bass too. If we had to chose one item we could not be without in the studio, it would have to be the Adam A7 monitors....its not about trying to produce on headphones! HJ: I know drum and bass, house, garage and hip hop have all been championed in the capital for years now. What sort of reaction did you get when you first played together as C.R.S.T? TB: I think one of the first parties we played at as C.R.S.T was 'Bigger Than Barry' @ MINT in Leeds. Was a crazy night and the tunes went down well, wicked little club. We played at Crazylegs in Bristol for their Birthday Bash which had a crazy line up. Some of the newer C.R.S.T tunes smashed it (Watch out for "Forever After" which got wheeled the F*** out of @ Crazylegs! 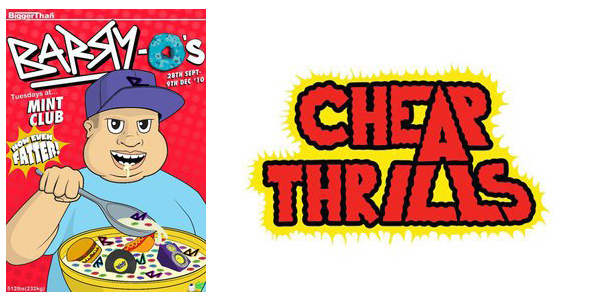 it will be out in the new year on Cheap Thrills). 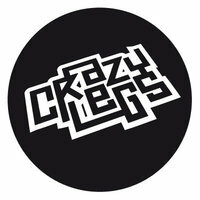 "We played at Crazylegs in Bristol for their Birthday Bash which had a crazy line up. Some of the newer C.R.S.T tunes smashed it (Watch out for "Forever After" which got wheeled the F*** out of @ Crazylegs! it will be out in the new year on Cheap Thrills)". HJ: What's the weirdest gig you have ever been to/played at? TB: Well all of us have had weird gigs, but for me (Tony Blitz) it has to be at a conference about Music Production in Cardiff Millenium Centre (Oprah House) with Monky. Finger Buffet with Dubstep & Garage...mmmm. The Count & Sinden 'Mega Mega Mega' album launch party was a crazy party too, some crazy people lurking about London! HJ: You've just had a release on No Hats No Hoodies a london based label. And have several forthcoming on various other labels including Doc Daneekas label 10000yen. Do you use these different platforms to explore different ideas or is it quite simply that people just can't get enough of your sh*t? TB: We dont make any particular style for any particular label. The label owners ask if a track is signed and if it's not, they ask if we that we put them out with them. Now we are at a point where we know what label is going to have what tune so the answer might change in the near future. HJ: You also offer a remix service and have some high profile remixes coming out soon. How do you go about choosing who to remix? TB: It's pretty simple, we check out the original mp3 and discuss what sort of style the label is looking for, we refer them to our soundcloud for an reference and if it is something we think we can do, we talk business and then request the stems if a deal is agreed. TB: This sort of question is a tuff one to answer, there are so many people killing at the moment, Monky & Stagga especially! You need to get to know about MC's Skamma & Joe Blow too! 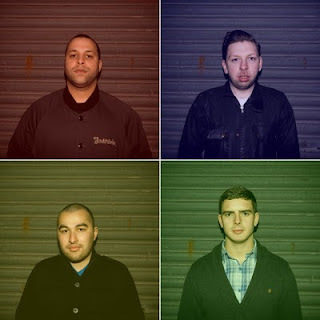 these guys WILL be making some big moves in 2011 you watch! Doc Daneeka is another one that keeps churning out the goods too. TB: Hmm thats a tuff one, we have been studio bound for the last year or so and have not had time to reach many, Soundwave festival was sick tho. TB: No Studio Session would be the same without a couple of bottles of Oasis. The cheap cans of Pineapple 'KA' are running tings right about now too! alchohol wise, we mainly drink Vodka with the cheapest version of Redbull we can find, usually 'Boost'. "Watch out for Redeye coming out Via Catapult Records soon with a remix from Cooly G and watch out for our future releases on Cheap Thrills in early 2011". HJ: Who should event promoters contact for bookings? TB: Contact crstdemos@googlemail.com and note that we tend to send 2 of us out to play for each gig to reduce costs and fees. Big shout to Tony Blitz for taking the time out to answer these questions on behalf of C.R.S.T. Check out myspace.com/crstuk and facebook.com/crst1 for more info. Jump over to xlr8r for a free download of their track 'Cervantes Riddim'.